Nilkamal brings to you the Touch Bunch Wicker, Silver to add a much needed element of sparkle to your living room décor. The Touch Bunch Wicker, Silver consists of some glittery silver leaves, a silver rose flower and some beautiful, silver twines. 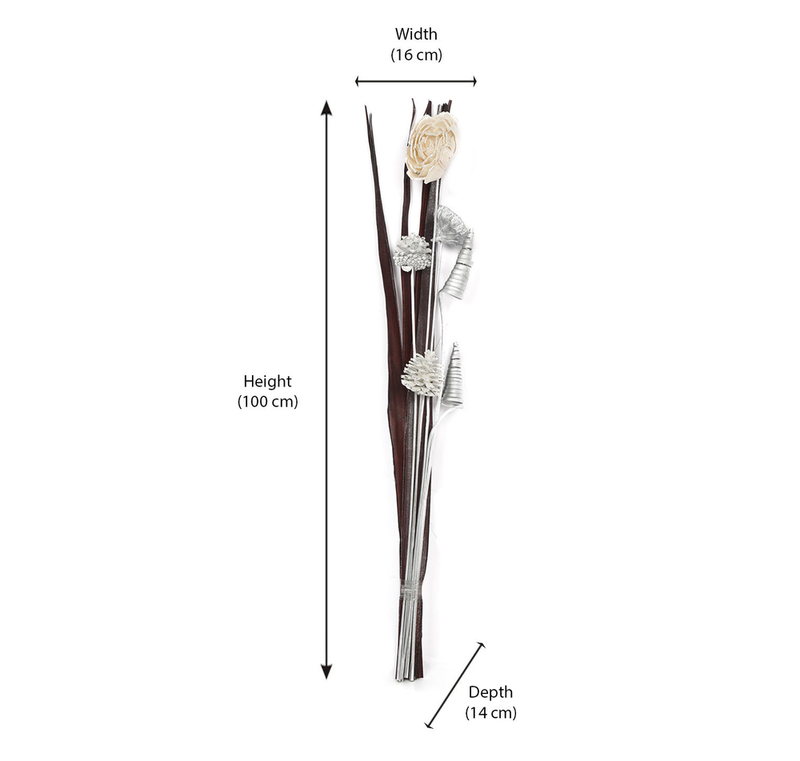 The Touch Bunch measures 16 cm in width, 14 cm in depth and 100 cm in height. The Touch Bunch is made from artificial wicker. Artificial wicker is durable as well as easy to use and maintain. Along with a long life span, artificial wicker is resistant to moisture, dust and stains. In case the touch bunch gets too dirty, you can simply clean it with a damp cloth. Also, artificial wicker is not much affected by the change in the weather; hence it will not be damaged easily. The glittery silver shade of the Touch Bunch Wicker is very appealing and exquisite. The color makes the touch bunch more attractive to look at and classy. The Touch Bunch Wicker, Silver will look beautiful in your living room when places in a floral vase of a dark shade like navy blue or dark brown. You can use this touch bunch as a corner show piece in your living room. Buy the Touch Bunch Wicker, Silver @home now.